So many appliances, so many ways to make a meal in minutes. Determining how many minutes a roast or cheesy casserole should be cooked in an oven, a microwave or a convection oven can be confusing. The conversion time from microwaves to ovens and other small appliances depends on many factors, from the recipe to the amount of heat that is put out by the appliance. Convection ovens have changed the way home chefs approach cooking. 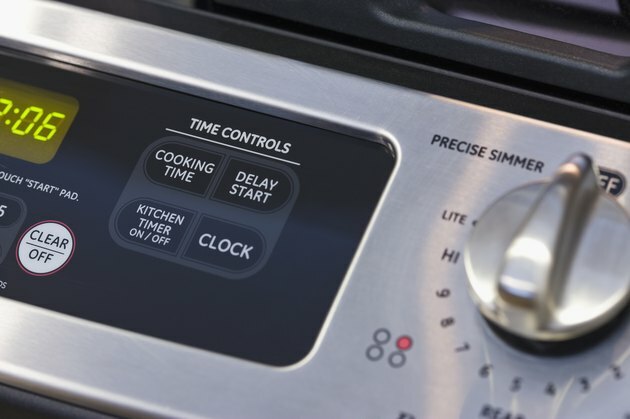 Converting the time needed to create favored recipes to work well in modern appliances can be tricky. There are two types of convection: True or European and fan-assisted. The true or European types of convection have an element in the back of the oven that controls the convection and fan-assisted convection ovens. Fan-assisted convection ovens have a bottom element connected with the fan in the back to distribute heat that makes for a more even cooking method. Many microwaves and ovens have this feature, and chefs sometimes worry that they need to convert cooking times for favorite recipes that had previously only been cooked in a contemporary oven. However, many meals can be adjusted to work well in a microwave or oven, convection or otherwise. It sits ready to be used for a quick turn around for main meals, yet it barely gets a chance to get started heating up cold cups of coffee or a boxed frozen meal. The microwave is underused as a maker of fine main meals but can push out a chicken breast, filet of fish or casserole in much less time than it takes the hulking oven to begin to brown the delicious dish. When using a microwave rather than an oven, remember that it takes one-quarter of the time it would cook in a conventional oven. So if a chicken dish with layers of cheese and liquid takes one hour, give it only 15 minutes in the microwave to heat and cook the dish thoroughly. Not all dishes meant for the oven are made for the microwave, so be sure to practice to make perfect. The convection oven has become a much more popular choice for homeowners, particularly those who enjoy spending time over the heated appliance. A convection oven can roast items roughly 30 percent faster than its conventional counterpart. Meat has a better sear and cooks up faster and juicier than conventional ovens. When put on the convection setting, the oven will make an adjustment to the temperature to cook the meat at the original temperature mentioned in the recipe. The time may not be affected, but the dish should be watched for doneness about 10 minutes before the recipe calls for it to be completely cooked.